I’m not a fan of recasting in Doctor Who, on the principle that it is a bit of a nonsense. Who is the Third Doctor except “the Doctor as played by Jon Pertwee”? Tim Treloar may be a good actor — but in that case I’d rather have Tim Treloar as the Doctor, rather than Tim Treloar as Jon Pertwee as the Third Doctor. So, for the most part I’ve avoided Big Finish stories and ranges that heavily involve recasts (stealth recasting of Peter Purves as William Hartnell as the First Doctor aside). 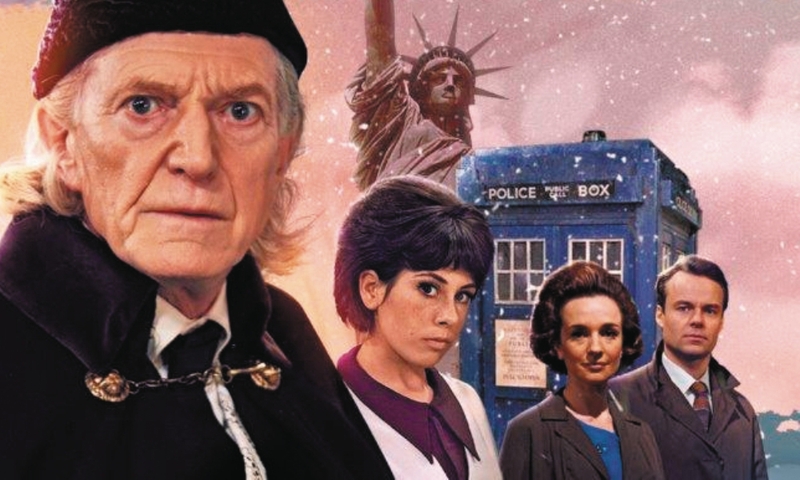 But when I first read the idea that the actors who played William Hartnell, Carole Ann Ford, William Russell, and Jacqueline Hill in the fiftieth-anniversary docudrama An Adventure in Space and Time could play the Doctor, Susan, Ian, and Barbara on audio, I was intrigued. This wouldn’t be recasting-as-imitation like Big Finish’s use of Tim Treloar has been, but instead asking a set of accomplished actors to interpret the roles as written in their own way, a method Big Finish has used to great effect in The Avengers. This could allow Big Finish to do new things with old characters, even free them from the strictures of having to slot new adventures between old episodes, because would it really make sense to have an adventure between Planet of Giants and The Dalek Invasion of Earth where suddenly everyone was played by different actors? The First Doctor Adventures Volume One is the first of two scheduled box sets featuring the AAISAT cast in an otherwise Verity-Lambert-era-on-audio styled adventure. In the classic set-up of the time it alternates a futuristic story with a “pure historical” one. The first, The Destination Wars by Matt Fitton, does show some level of flexibility with the 1960sishness of it, as I’d hoped for, because it also features James Dreyfus as the Master — something that for obvious reasons could never have been done on screen in 1964! 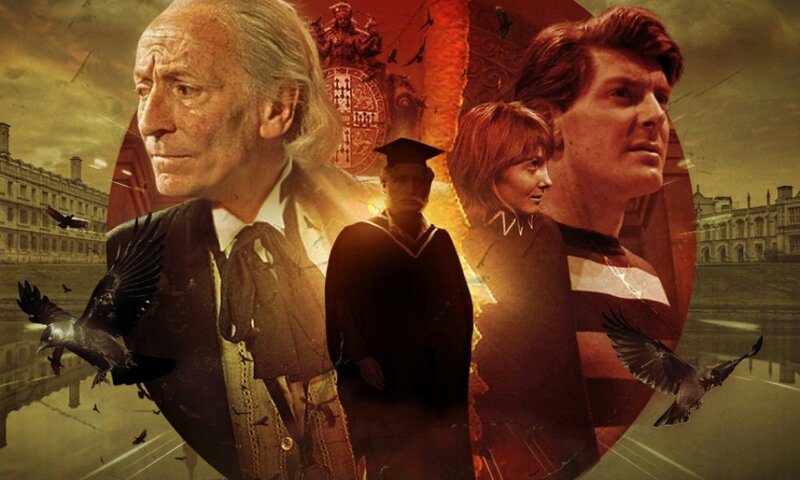 The idea of a “first Master adventure” is tantalising: the Doctor and the Master had a falling out at some point, so what was their relationship like before they began butting heads in the 1970s on Earth? Unfortunately, I felt that The Destination Wars didn’t quite live up to the idea. First off, the plotting is a bit off; James Dreyfus doesn’t turn up until the end of Part One, and he’s not established as the Master until the end of Part Two, so it’s all a bit wheel-spinning if you’ve read the advanced publicity. The second is that the story doesn’t really do anything with the Master you couldn’t do in any number of Doctor Who stories from later eras; he’s set himself up as the ruler of an alien planet because of a selfish scheme that he needs to escape from a trap. Any Master from Geoffrey Beevers onwards would fit into this story with a minimum of fuss. And it seems a shame, because if you think about the Lambert era, the contrast between the Doctor and the Master has potential. How the Doctor manipulates the Thals into fighting for him in The Daleks is a lot like many of the Master’s plans. They are morally different, but not as much so as they would be in 1971 onwards. It would have been neat to see Fitton play with this, or with the untrustworthiness of the First Doctor. The Master has to hypnotise the companions into helping with his plan, when if you set it early on enough in the run, it would almost make sense that Ian and Barbara would trust the charming Master over the shifty Doctor. It would be neat to hear the Doctor and the Master falling out, or get a sense of the Master’s relationship with Susan, but all this is ignored in favour of a pretty stock Master plot. I will say that James Dreyfus is charming as the Master, pleasant but also vaguely amused by the scuttling of the little people he has to interact with. I look forward to hearing more from him in future Big Finish stories (as evidently we will). The Great White Hurricane, though, shows that playing the 1960s as the 1960s can still work in 2018. The TARDIS lands in New York City in 1888, on the day of one of the biggest storms to ever hit the East Coast. In classic Lambert-era historical fashion, the TARDIS crew is quickly separated from the Ship and from each other, and have to hang on in desperate conditions until the crisis blows over. The Doctor is arrested for arguing with a police officer, Susan is taken hostage by a gangster, and Ian goes into hospital accompanied by Barbara. Each has a set of adventures of their own with the backdrop of a deadly storm influencing everything. The standouts of the new cast are David Bradley as the Doctor and Jamie Glover as Ian. Bradley is as good here as he was on television in both AAISAT and Twice Upon a Time. He’s more grumpy than Hartnell, I think, a little less impish, and he does great with the imperiousness of the character, especially in some of the later parts of The Destination Wars. Glover is nothing like William Russell, but captures Ian’s easygoing nature and problem-solving mind and occasional bit of chauvinism really well. I found Jemma Powell as Barbara the weak link of the cast. 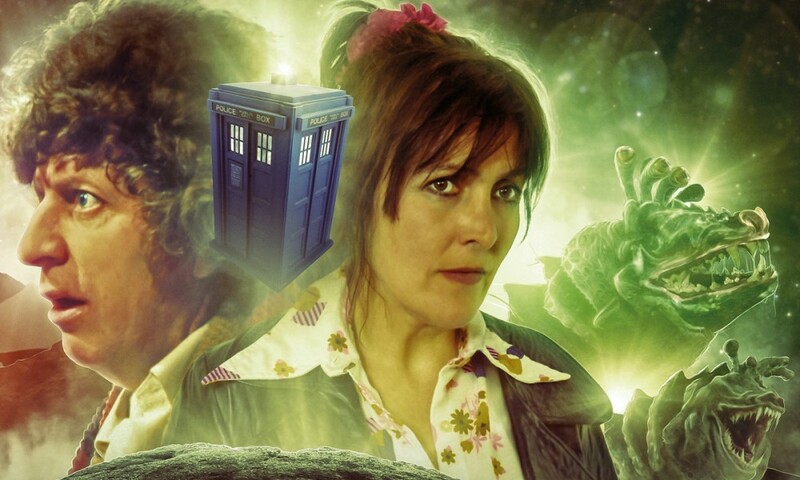 Most of the time she’s fine, but she struggles to capture Barabara’s softer moments, such as a bit where Barbara reassures the Doctor early on in The Great White Hurricane; the warm relationship between the Doctor and Barbara on screen isn’t quite here. I’m not sure what I think of Claudia Grant as Susan; I kind of want more out of her before I decide. She does seem to play it more childish and less alien than I would like. So far this seems like a worthy experiment, and The Great White Hurricane shows that doing 1964 all over again has potential, even if it’s not quite as bold a direction as I might have imagined — Big Finish always do “missing episodes” well, but why do missing episodes with this cast when you already do them with the original 1960s casts in The Early Adventures? So even though I enjoyed The Great White Hurricane more than The Destination Wars, I hope that future sets develop their own identity more, and try more things that wouldn’t have been done in 1964. 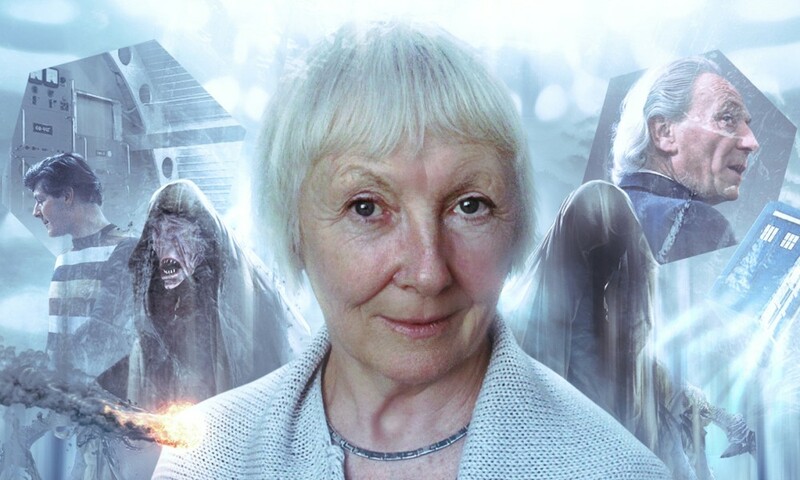 The First Doctor Adventures Volume One (by Matt Fitton, Guy Adams; starring David Bradley, Claudia Grant, Jamie Glover, Jemma Powell) was released by Big Finish Productions in December 2017.